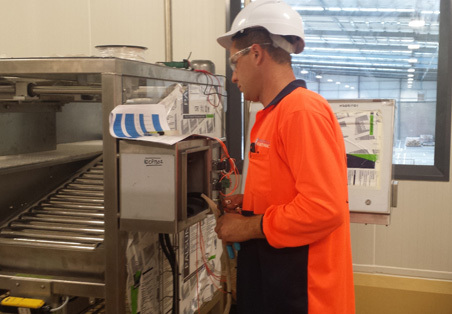 Frontline Electrical are specialists in industrial electrical work. Our highly skilled team of electricians offer installation, project management and repair and maintenance services for all your electrical plant, equipment and machinery. Our team of registered electricians are highly skilled professionals with extensive experience both here in New Zealand and in Australia. We abide by strict trade rules to ensure electrical safety at all times. We use only the highest quality materials which reduces long term maintenance costs. Our highly experienced industrial electricians can design and service all electrical applications. When your line is down or equipment needs troubleshooting, our certified technicians are available to do the job! As well as electrical repairs, maintenance and installations, our electrical contractors work to improve what your business already has, offering expert advice and recommendations, along with free estimates. Our team can work in with existing contractors to effectively set up and maintain your electrical systems. Talk to us about our competitive rates today! We can design and install safety enhancements to existing plant and machinery to increase production in your workplace. Talk to us today, from design and planning through to installation and maintenance, we can find the right system for all of your industrial electrical needs.